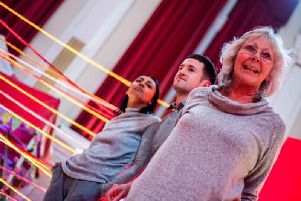 A Blackpool couple have launched ambitious plans to get youngsters dancing themselves fitter. They are aiming to franchise their idea once established and they have even had their own music produced. It has been specially designed and written for the age group and using the hip hop and RnB music popular in the street dance world. Adam said they have spent the past 12 months getting the music together and putting everything in place for the launch with a website. They have even got plans for a range of clothing to go with the Lil Beatz concept. m said: “ Vicci started dancing when she was three and in her career has travelled the world as a professional dancer. “She trained with Phil Winston in Blackpool and was classically trained for 18 years. “She decided to venture into the world of hip hop and street dance where she found her true passion. he then moved back North and started classes in Southport which really took off. “She always felt she was destined to inspire youth from a very early age to get into dance. Hence, the idea of Lil Beatz was developed. She has found a niche in the market for toddler classes. “I have my own marketing business, Get Your Mobi based in Lancaster, and had the time to take a look at her business. We have plans to franchise the operation and some great ideas for quality clothing too. Adam said that he was passionate about getting kids active and healthy from a very early age since he himself had struggled with weight at times and has three young children. He added: “Blackpool has some problems with obesity, diabetes and lack of exercise and so Lil Beatz is a good way to get young children active with something they are interested in. We have been in contact with Blackpool Unlimited and Donna Taylor to talk about it and we really think this could be good for the area. “There are dance franchises out there, many have been going for years but they are based on a model that is 20 years old, but we are bringing the concept right up to date.